Today’s guest poster is Liz Presson. From revolutionizing the way large corporations communicate, to working as the founding employee of two successful digital media startups, Liz teaches companies to use community building, both internally and externally, to reach their fullest potential. Liz is the creator of WorkingRemote.ly, a resource for new age workers and business leaders who want to attract new age workers as employees and customers. Young users (YUs) are awesome. When they fall in love with a product, they fall hard. They talk to their friends about everything they do. And, let’s be honest, young people are the world’s tastemakers. But, you should treat YUs vastly different than older users. Their demographic provides just as many complexities as it does perks. It’s a big job to make kids a part of your community and capitalize on their experiences without overstepping your boundaries. It’s an even bigger job to keep young minds engaged and excited. Here’s a process that will help you intrigue YUs, interact with them and take part in their accomplishments– the right way. Because no one wants to be dubbed as “that creepy community manager”— it’s not a good look for you or the business you’re representing. A YU that I’ve built a great relationship with is “Q,” a 12-year-old who sells his own custom products on one of the largest electronic retail and community sites, SparkFun Electronics. In less than a year, I’ve watched Q go from creating projects like a “gas cap” to becoming the CEO of his own business. While it’s been exciting to get to know him and share in his experiences, I’ve learned to balance that excitement with care. Why are children different than normal users? “Don’t talk to strangers.” We’ve heard the saying our whole lives. For those of who frequently use social media, online forums and the alike, we talk to strangers every day (if you’re reading this, it’s possible you even make your living doing so). It’s become a norm. But, when you’re interacting with YUs, you have to remember that you are technically a stranger, even if they’re on networks that purposefully connect people who have never met IRL. These two simple steps will help you build familiarity, so you’re not a complete stranger when you contact your YU. You can offset the mystery by building context around yourself and your mission. Start building this context before you directly engage. Here are some ways to start, some of which you’re probably already doing: Introduce yourself on your company’s blog, host public webinars and appear in company videos. Identify yourself in tweets, Facebook posts and when responding to customer tickets and forum questions. Make sure your personal brand ties back to your job, so there’s no confusion. Then, when you start to engage with the YU, introduce yourself and point to the contextual collateral. One of the pieces of contextual content I point back to most often is a Google+ Hangout On Air. I hosted the online event with three of my co-workers who have high-profiles in the tech world. Not only did I build context around my position, I publically associated myself with people my community looks up to. The best part? Q attended, and my co-workers mentioned his project as a reference. I also suggest that you talk about your YUs before you talk to them—it’s the ultimate form of context. And, as you already know, celebrating your users should be part of what you’re doing regardless. For example, before I directly engaged with Q, the 12-year-old maker turned CEO, I featured one of his projects alongside a couple of other YUs in a post called “The Cool Kids.” I mentioned him in tweets promoting the blog post, and his response was a great way to start our first conversation. What do you have to watch out for when dealing with children? While kids will think you love them just because they’re awesome, parents know that you have an underlying cause. Because of parents’ natural skepticism, you should work equally as hard to get to know them. I find that reaching parents in a casual way is the biggest part of the battle. The last thing a YU wants to hear is “Can I talk to your mommy or daddy?” No matter how young, your YU doesn’t want to need to get permission. And, after a few direct interactions, it might be time to meet the parents. A contest is a fast, easy and sure way to get the information you need. Hold a contest with a prize targeted at your YUs. Make it simple. For example, fill out a 3-5 question form and you’re entered to win. The key ask being: “Under 16? Great, we just need one of your parent’s names and their email address.” Once you have a parent or guardian’s contact information, reach out with the same contextual content that you created to offset the mystery. When I reach out, I keep it as casual as possible, and take the approach that it’s less about permission and more about courtesy. When I reached out to Q’s parents for the first time, I said, “Q won a developer kit, and we’d really like to surprise him. If you’re okay with that, would you send me your address?” Parents don’t want to feel like you’re an intruder asking for permission to speak to their kid either, so keep it simple and causal. Of course, Q’s parents were happy to help with the surprise. Now, I talk to them as much as I talk to Q. While a contest is a great way to interact with parents, you should be careful to not give away too much free stuff. Kids love free stuff as much as the rest of us, but they don’t necessarily “get it” like adults do. Give away too many free things to one specific YU, and they’ll expect to get stuff from you all of the time. They’ll begin to undervalue your products instead of love them more. Evenly distribute your swag, and don’t spoil any one user—kid or otherwise. How do you keep children engaged? While you probably already have a strategy in place to keep users engaged, keeping children engaged as they grow up is a different challenge. We all know that kids’ tastes, hobbies and needs can change overnight. You should work to build yourself into YUs’ long-term success. So, while they may grow out of your offering, they’ll never grow out of loving your company. A great way to create an experience that a YU will never forget is to use your grown-up network to make introductions that will impact their lives. My crew at Digi International met young CEO Q at Maker Faire. We created a whole experience that he’ll never forget. As he walked up to our booth he could see his project displayed on the big screen. He and his parents were introduced to two of our employees who are authors and technology innovators that Q was excited to meet. The two mentors walked Q around the Faire, introducing him to the industry business owners and influencers who were on his “list.” In fact, that’s how he met the founder of SparkFun, the retail and community site where he’s currently selling his products. 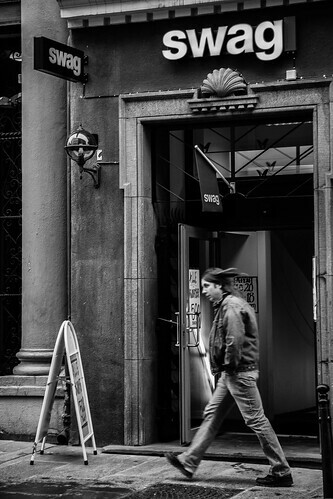 Another way to create an experience is to bring YUs to your HQ. Show them around, let them meet the people who work “behind the scenes” and give them access. At Digi, we have some incredible machinery to produce and test our products, but you don’t need a lot to make a kid’s day special– let them meet your team, take them to lunch and even give them a “task” to complete while they’re on site. While it’s likely that Q’s needs will change over time, he’ll never forget the introductions and experiences that we provided. From the first blog post that we wrote featuring his project to introducing him to his first distributor, we’ll always be part of his success story. When you build relationships with your YUs, you should have that same goal in mind: to become a part of their story and long-term success. The short-term mission of selling products will not provide desirable results. If you’re only interested in selling what you have right now, you’ll come off sales-y and maybe even a little creepy. Follow the process outlined here, and you’ll be on your way to creating lifelong relationships with the world’s future (or current) CEOs, innovators and thought leaders. My job is to create community experiences that make users, potential users and employees fall in love with products and businesses. Have a question about user experience, online community building or work culture? Let me know on Twitter. 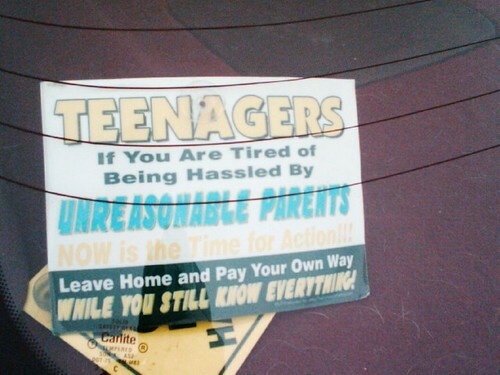 Teenager sign courtesy of Chris Chan. Swag picture courtesy of Kyrre Gjerstad.